I have been carrying the same wallet for over 30 years. It still looks new but it was from an era when people carried their planners with them. I also liked it because it had lots of credit card slots and many unique plastic pages that held stamps, business cards and photographs. I don't work in health care anymore and my planner is online. I only have one credit card and my debit card so I wanted to go smaller. One of the reasons my purses are so wide was because of the size of my wallet. 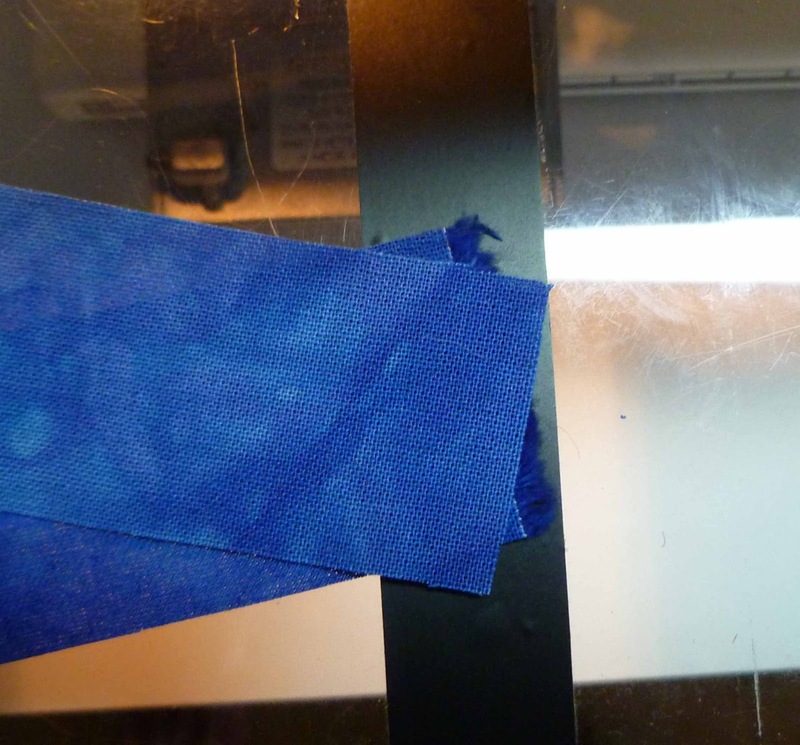 Now of course you must have guessed already that I took no process photos but I can explain what I did. I also downloaded a free wallet pattern that I didn't use except for the idea behind the credit card slots. 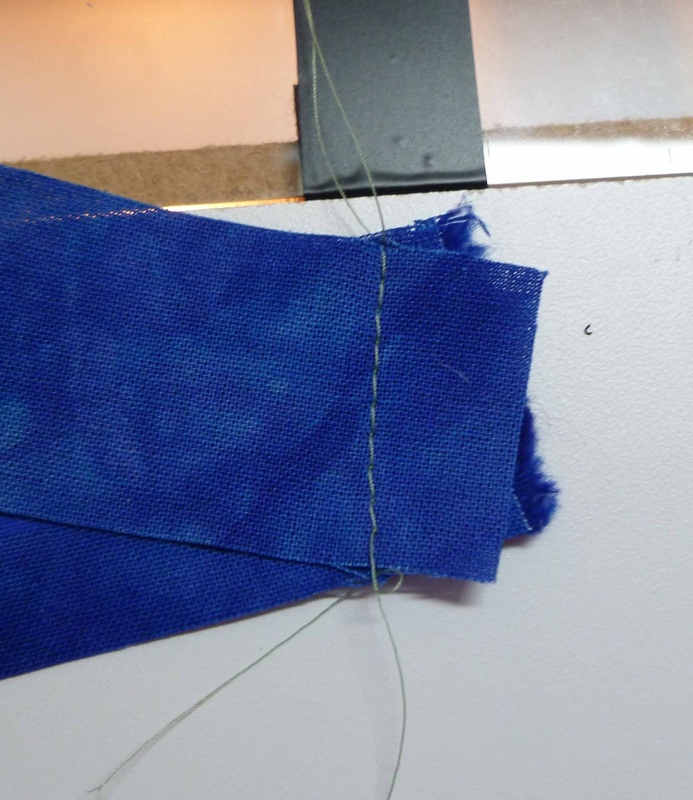 It was one long piece of fabric folded back and forth then stitched down the center. 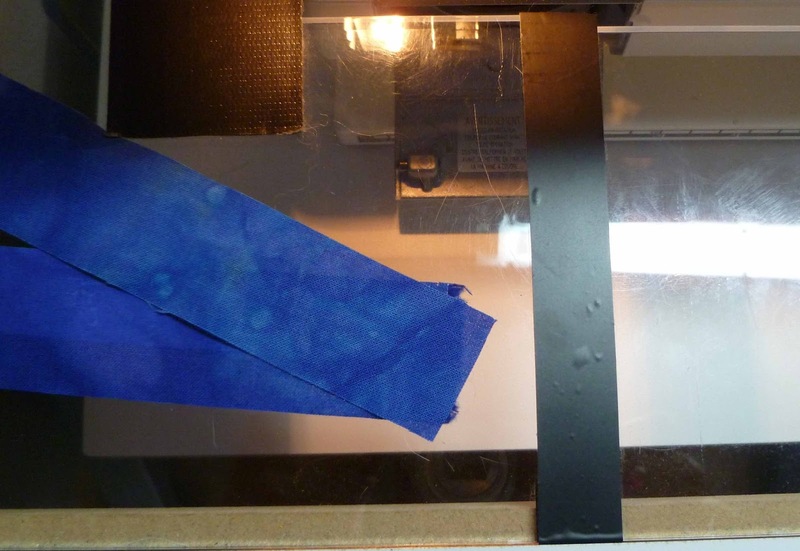 Check out the pattern for the photos of this folding method. Since a wallet says a lot about you, I decided to use my MOST favorite piece of fabric EVER. 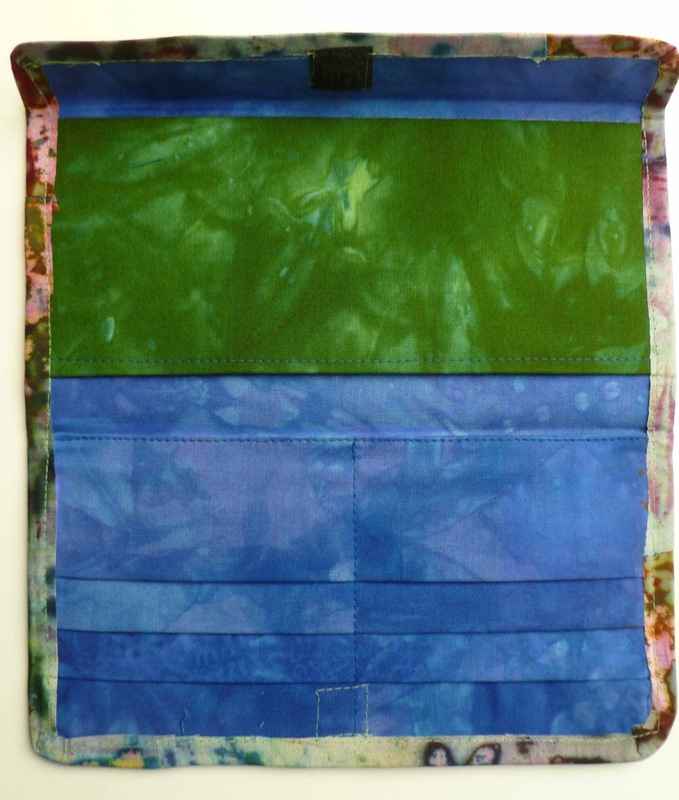 It is deconstructed silk screen fabric. Flap held with a small piece of Velcro. I wanted something I could open with one hand. Now this is why I really created this post. Remember when I bought my new machine and I showed you the black electrical tape that comes straight out from the center needle position? I use it for making PERFECT binding strips. 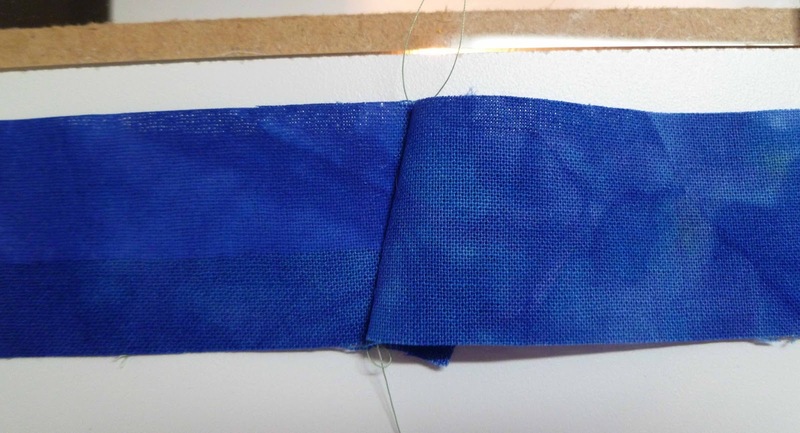 You lay the two pieces of binding fabric right sides together with a slight V at the top and bottom. 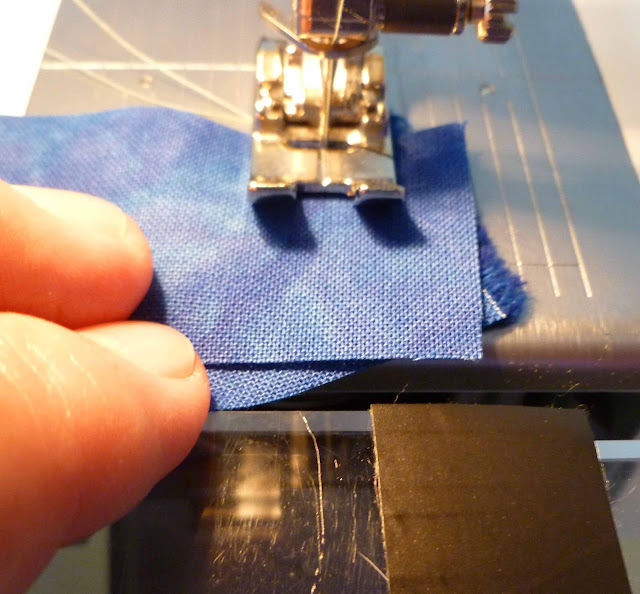 Instead of wasting fabric and time trying to make a perfect 45 degree seam, you can get the same results with almost no effort. See the "notch" or V sitting on the tape line, top and bottom. When the seam is open, the strip (binding) will be perfectly straight. nice idea, I will have to try this next time I need to join bias. If I remember of course! Can life be that simple? I will try this! 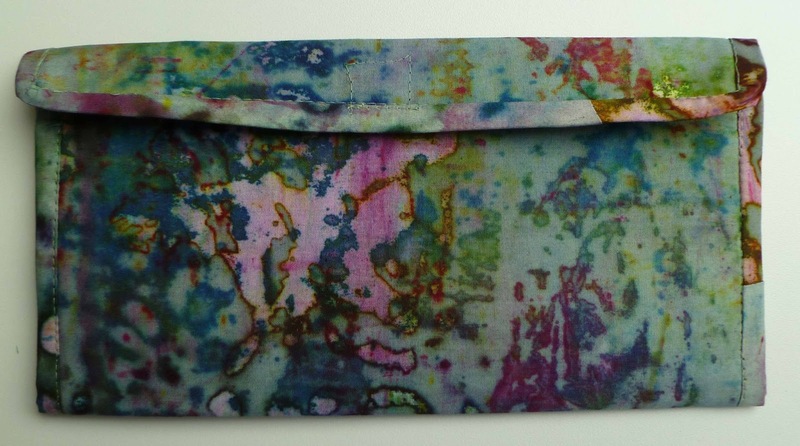 And what a beautifull wallet, love the colors and the breakdown structure! Traditional Hand Piecing - OH NO!!! !